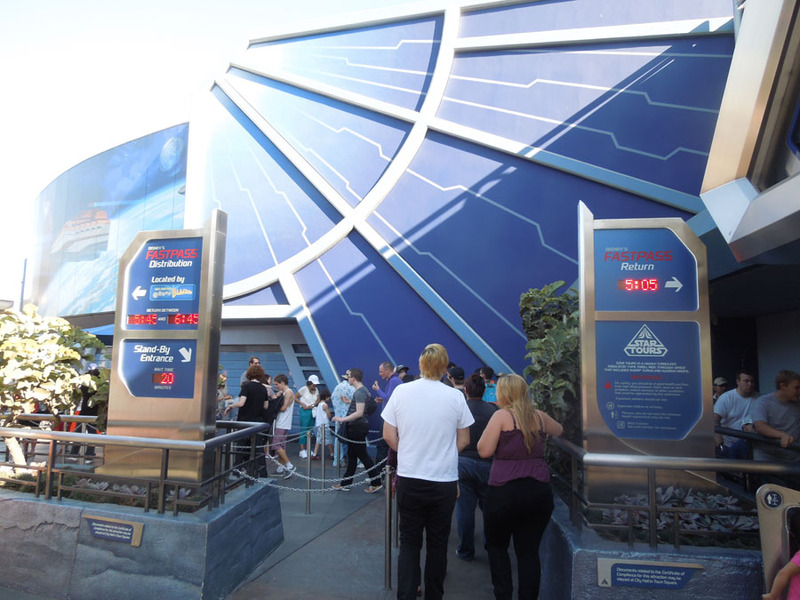 Disneyland takes pride in offering a variety of thrill ride experiences. 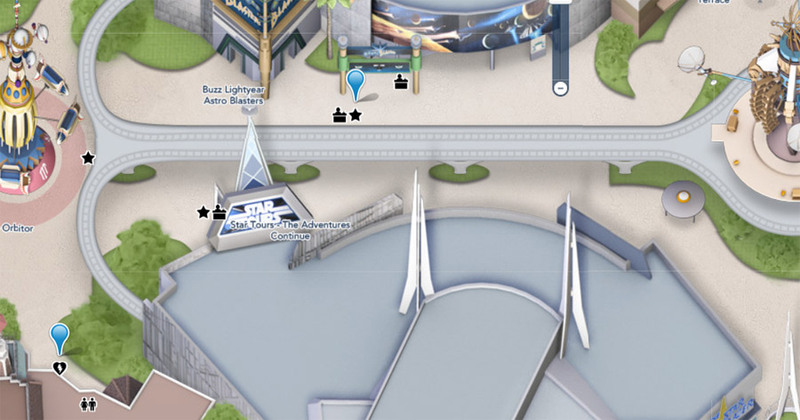 There are only really four roller coasters, one water flume and one carousel. 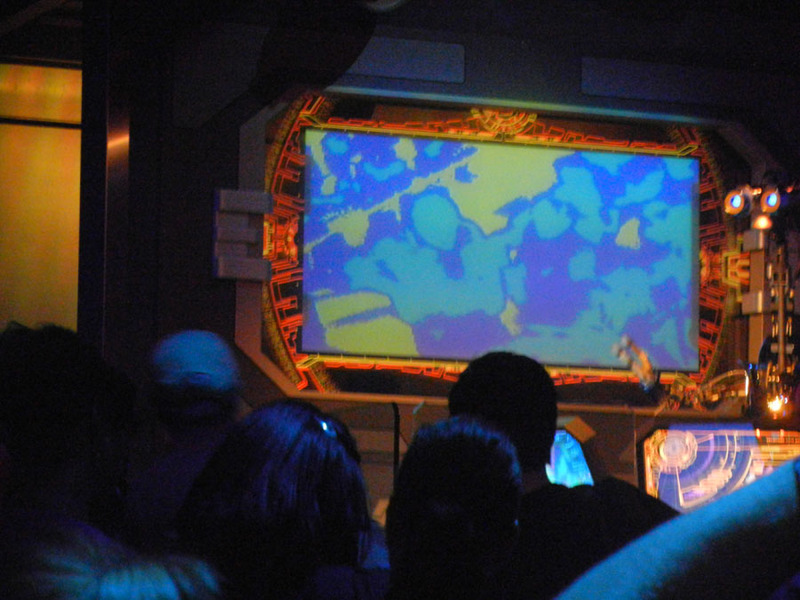 Buzz Lightyear isn't quite like Roger Rabbit, and neither one is really like Haunted Mansion. 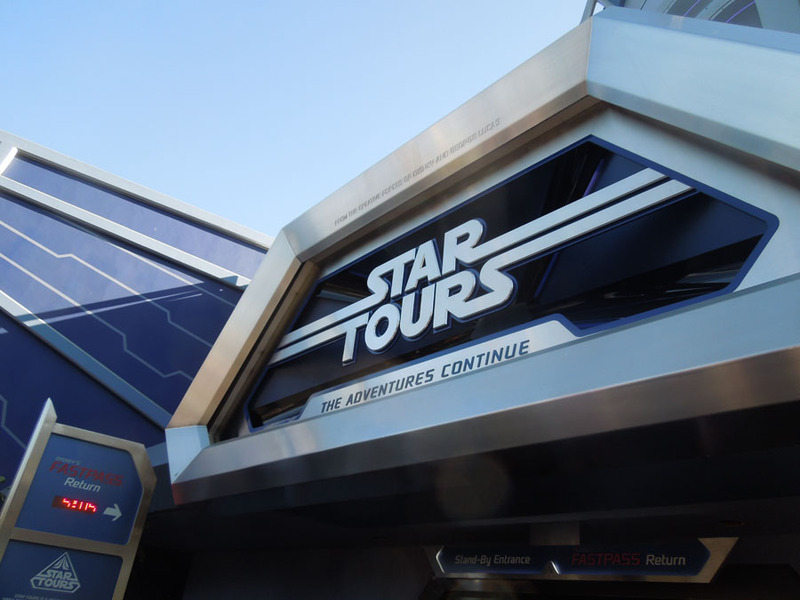 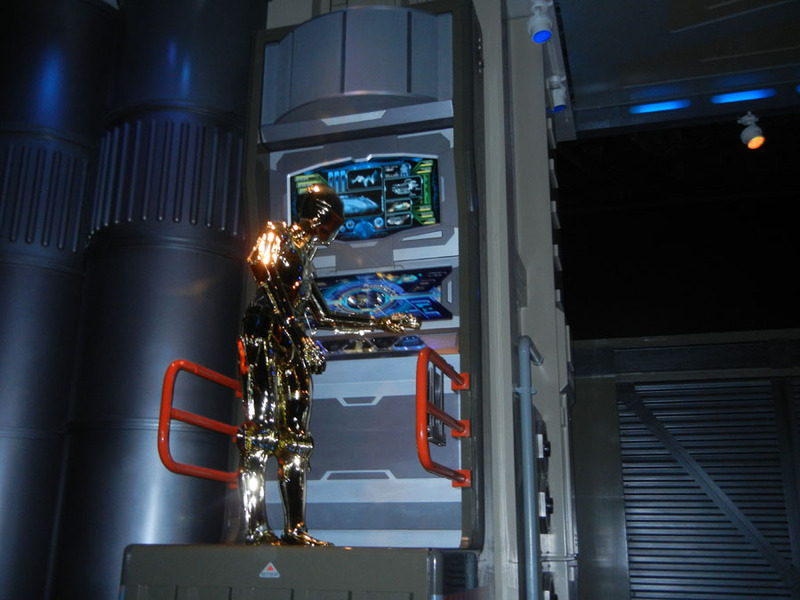 Star Tours is completely unique among ride experiences. 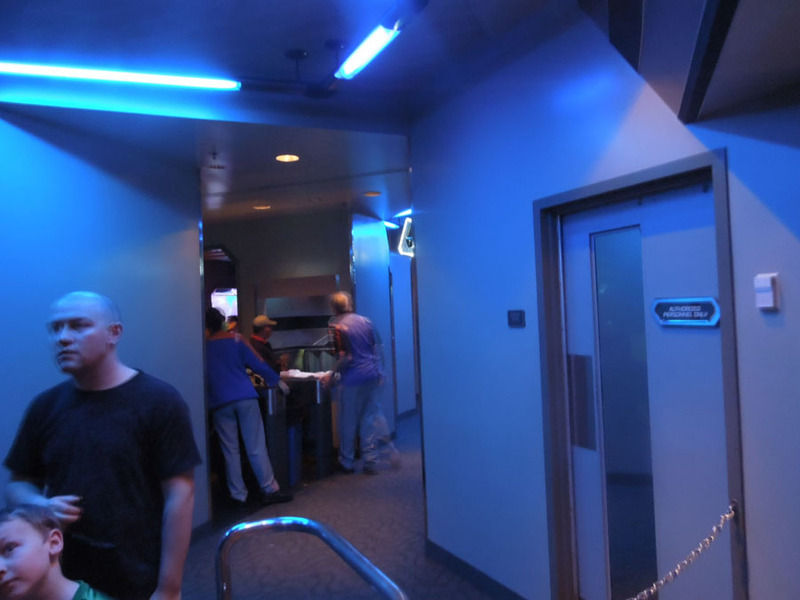 It's a tilting room, combined with a 3D movie, providing an experience which feels exactly like a shuttle ride speeding through a battle in space. 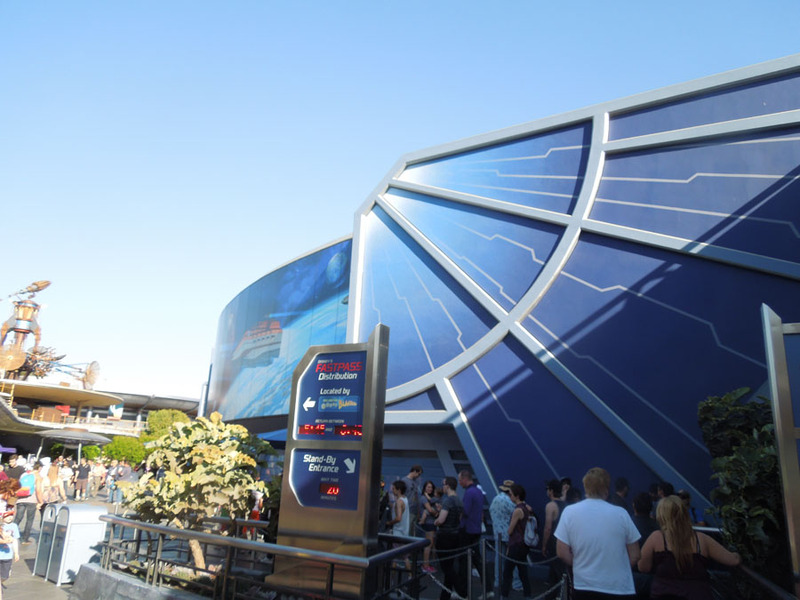 The ride is located very close to the entrance of Tomorrowland, on the south side of the main avenue. 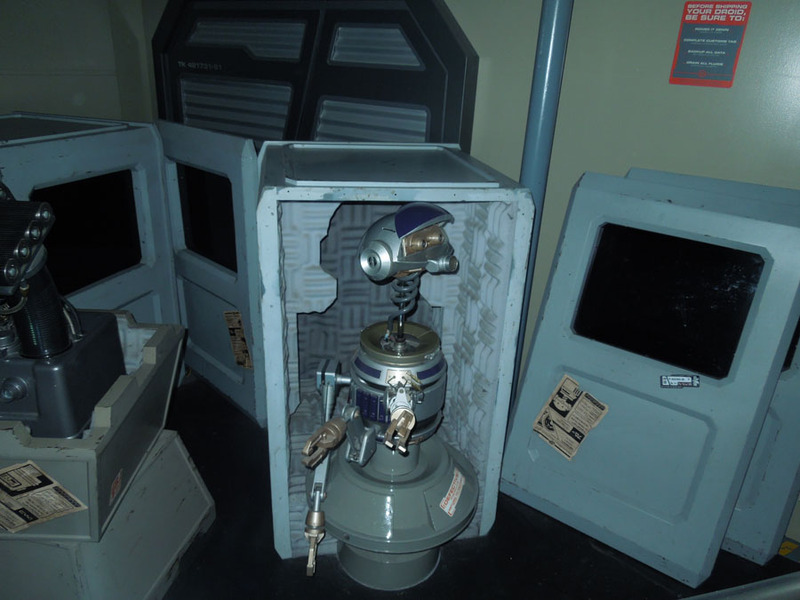 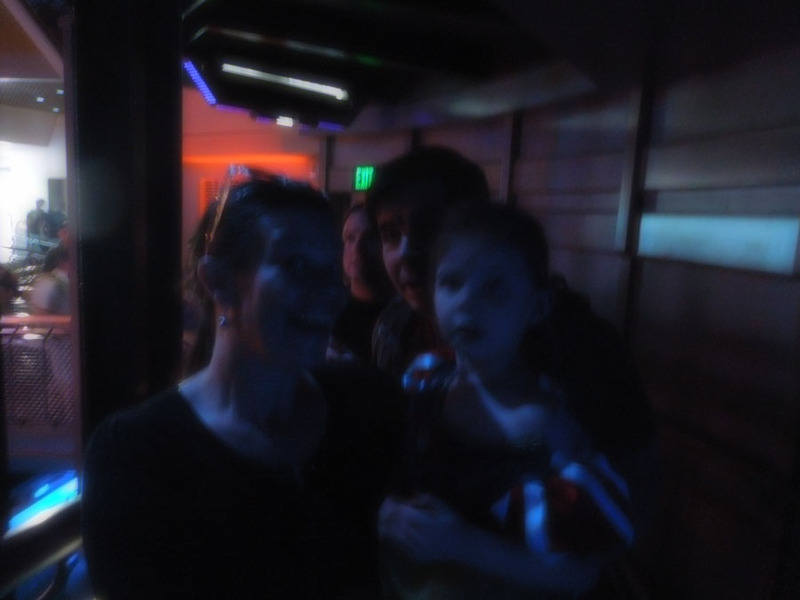 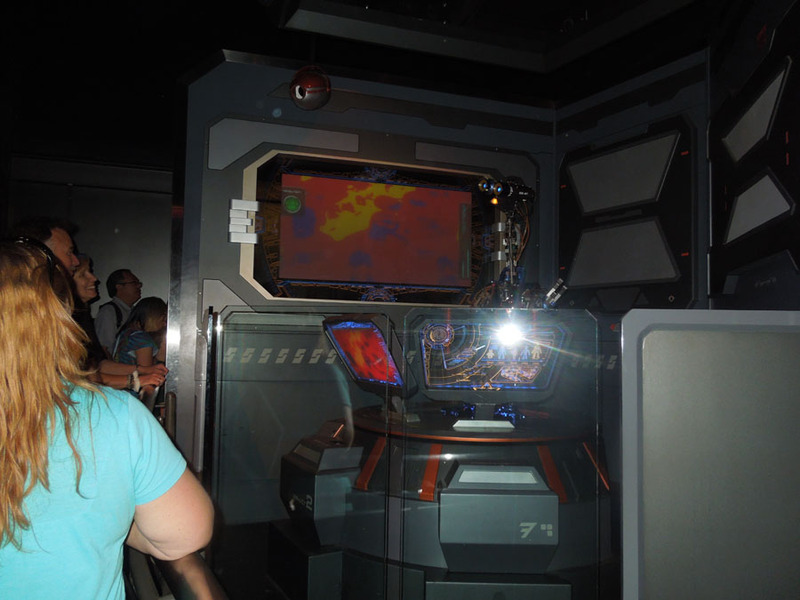 Inside the first room of Star Tours, in line. 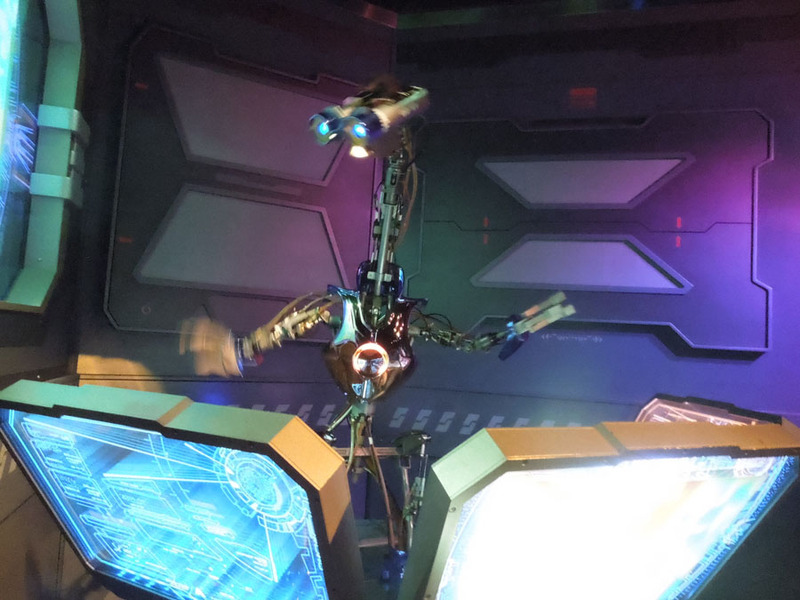 This little robot helps direct traffic and entertain the line. 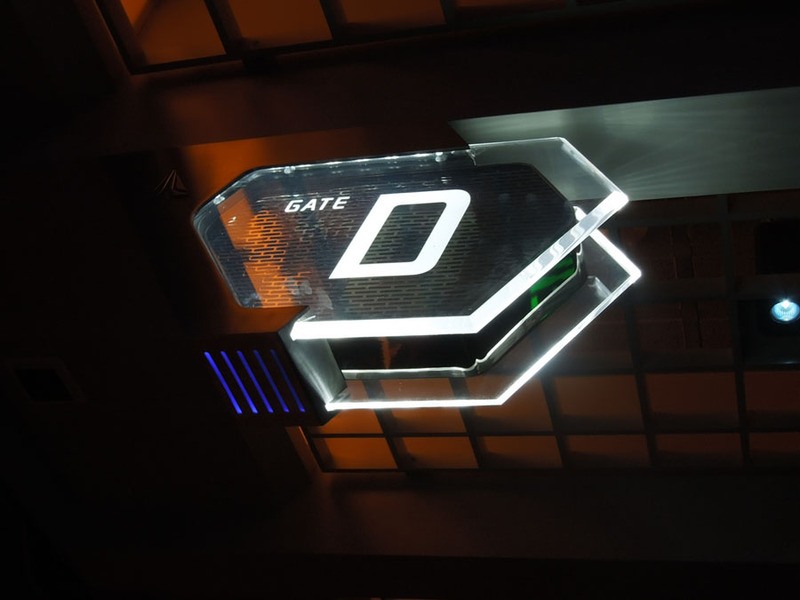 Gate D. One of four shuttle crafts. 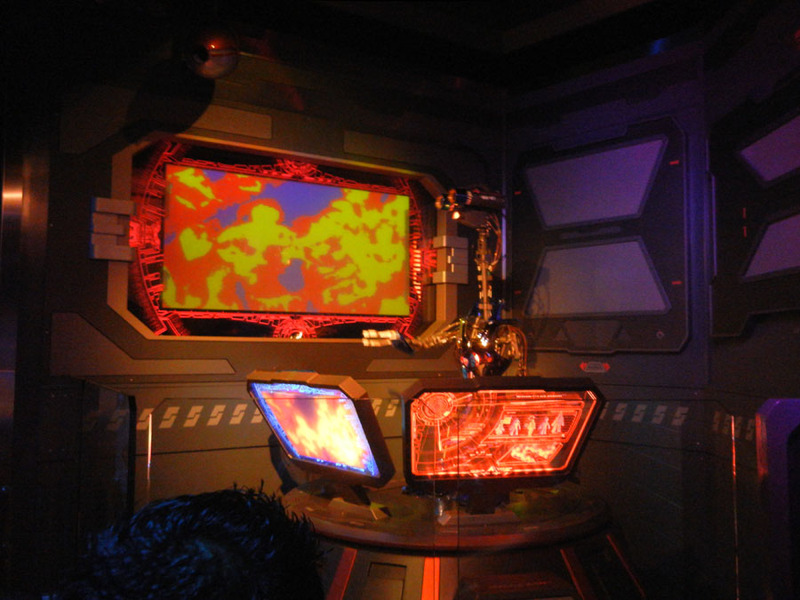 The heat-sensitive image behind the navigator bot. 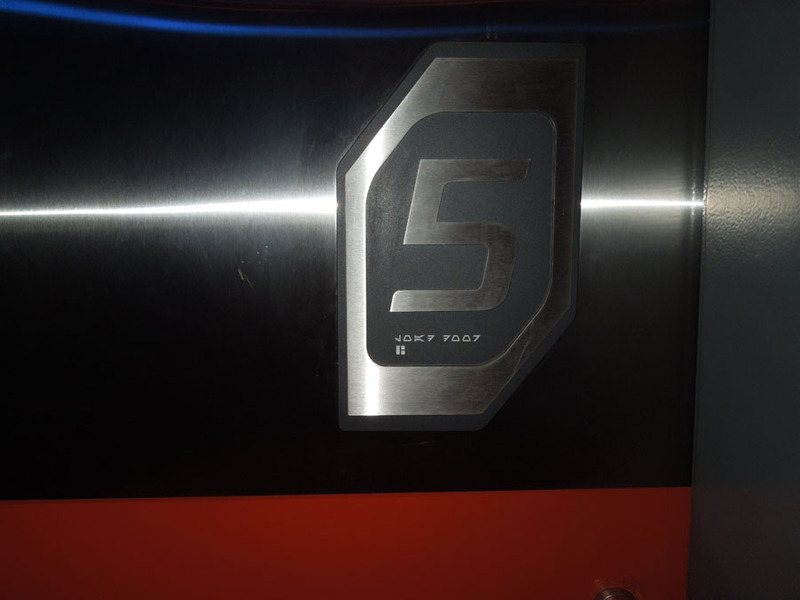 Door Five, I believe this is the number corresponding with the rear seat in the shuttle. 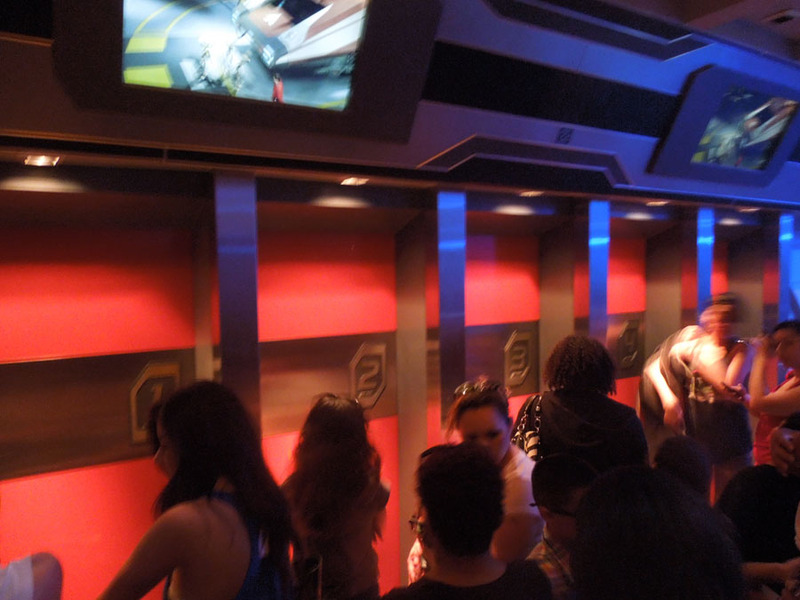 Star Tours crew positioning a new cart of 3D glasses. 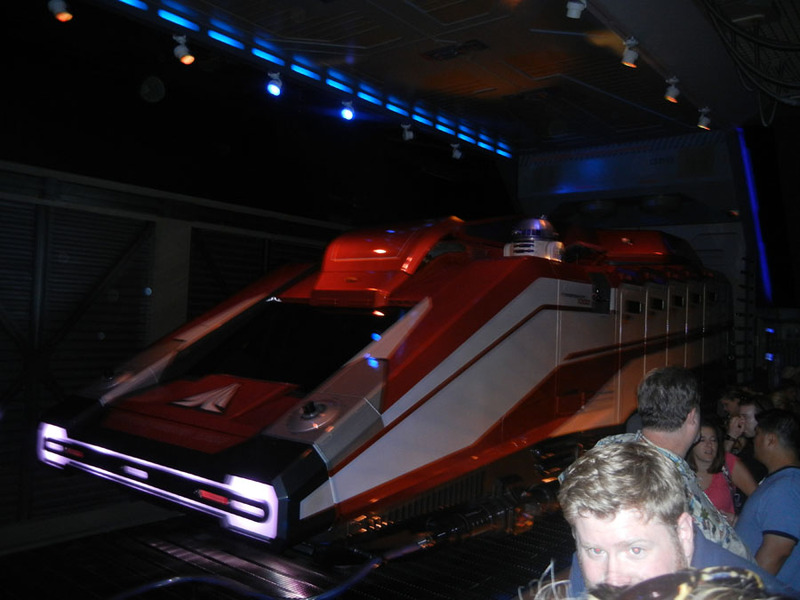 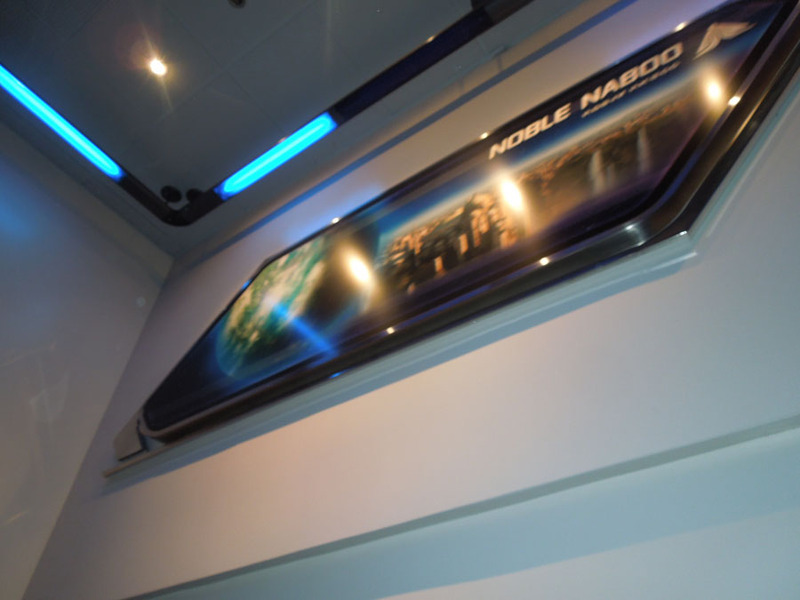 Example shuttle in Star Tours. 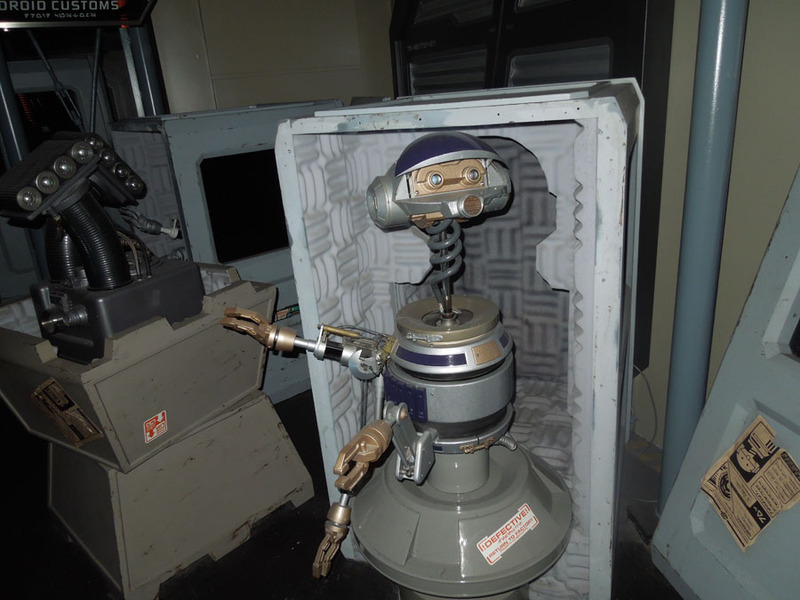 That same robot in the shipping crate again. 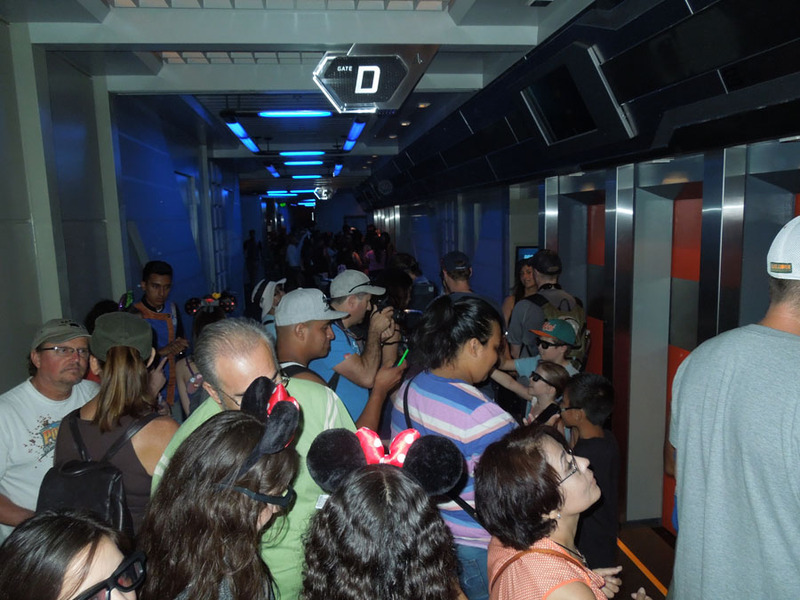 Passengers queuing for a row in the shuttle. 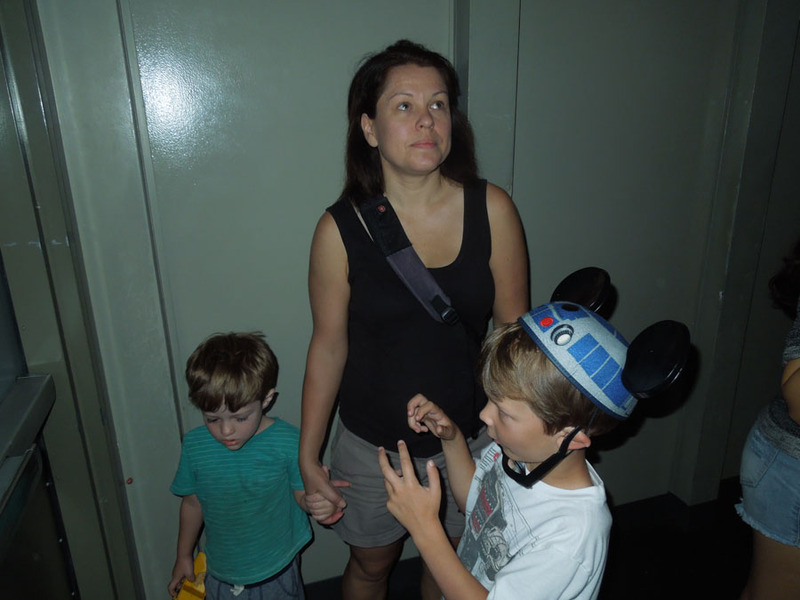 Suzi and Edgar queuing in a corner. 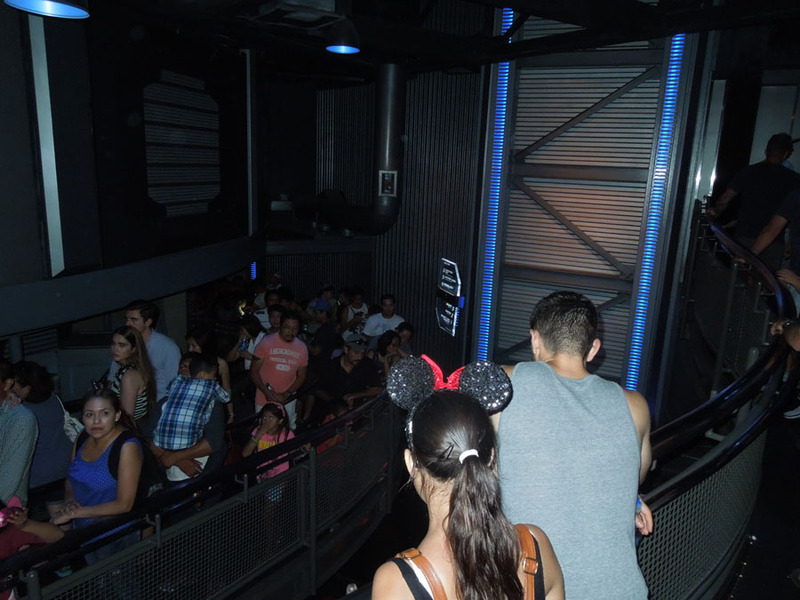 Looking down on the crowd behind us in line. 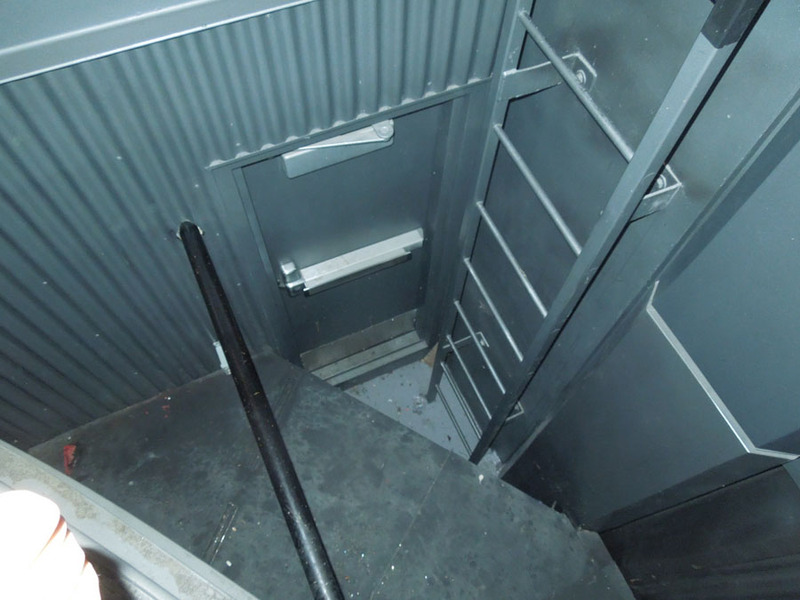 A maintenance door and ladder. 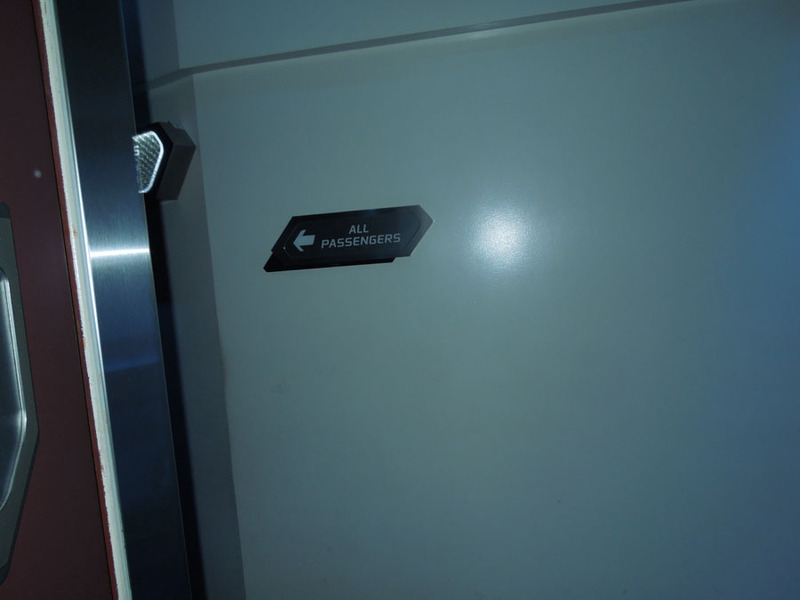 The maintenance door to the navigation bot area. 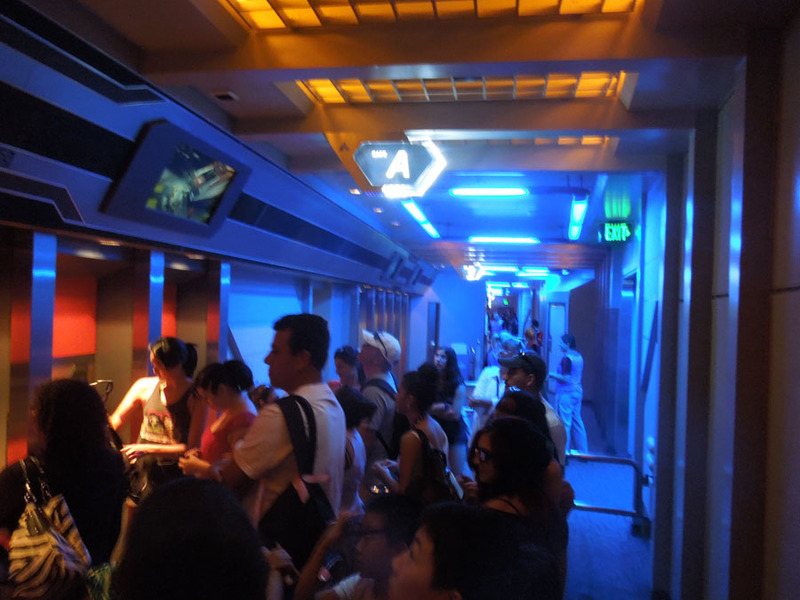 Awaiting an open seat on the shuttle. 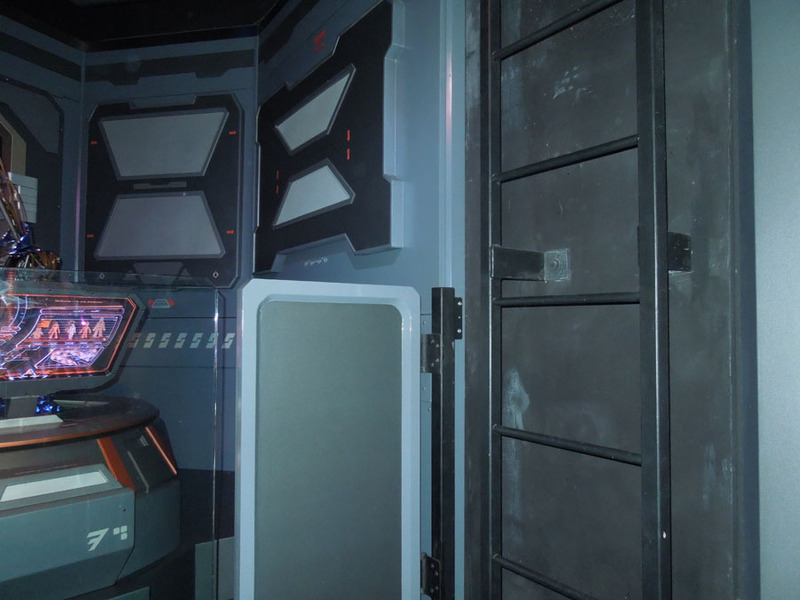 The doors into a shuttle. 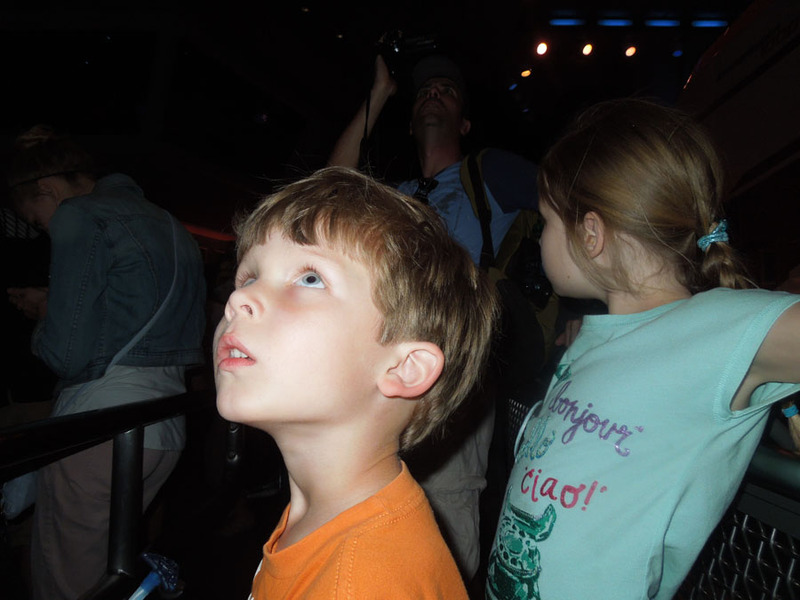 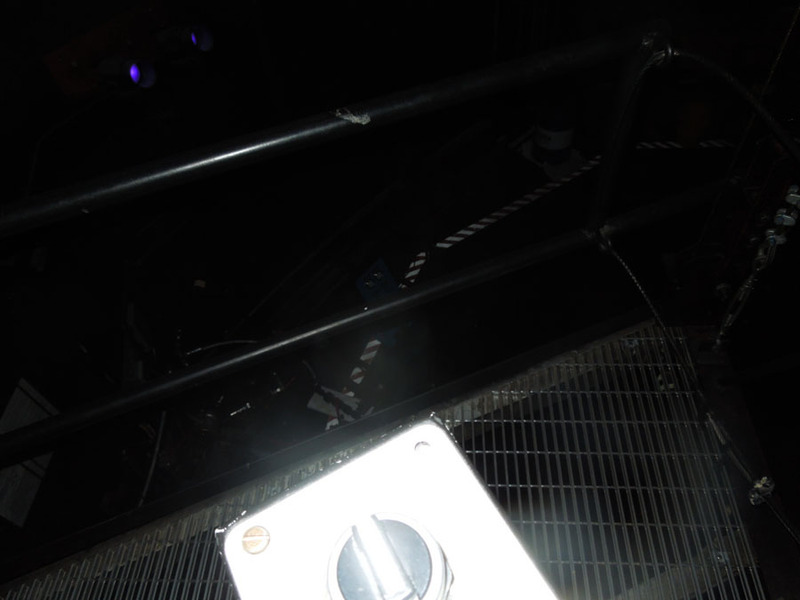 Looking into the dark mechanism below the shuttle. 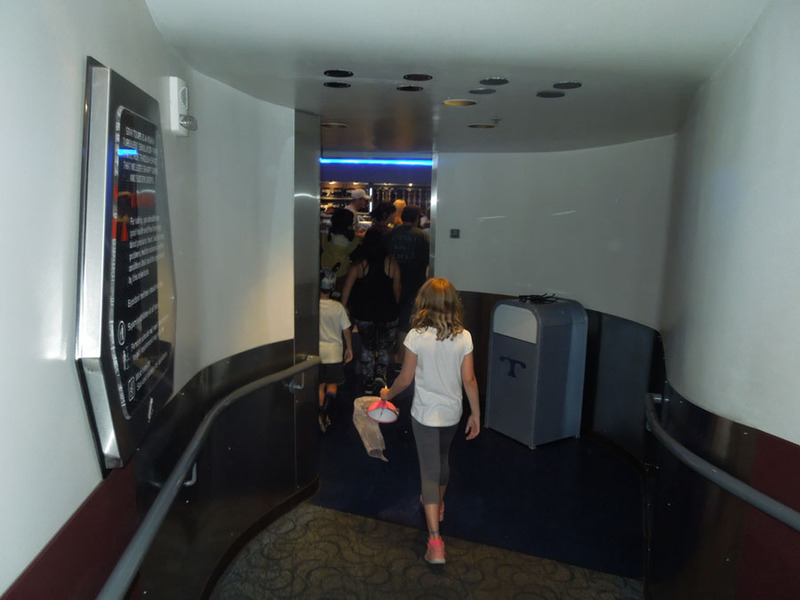 Star Tours exits into the gift shop. 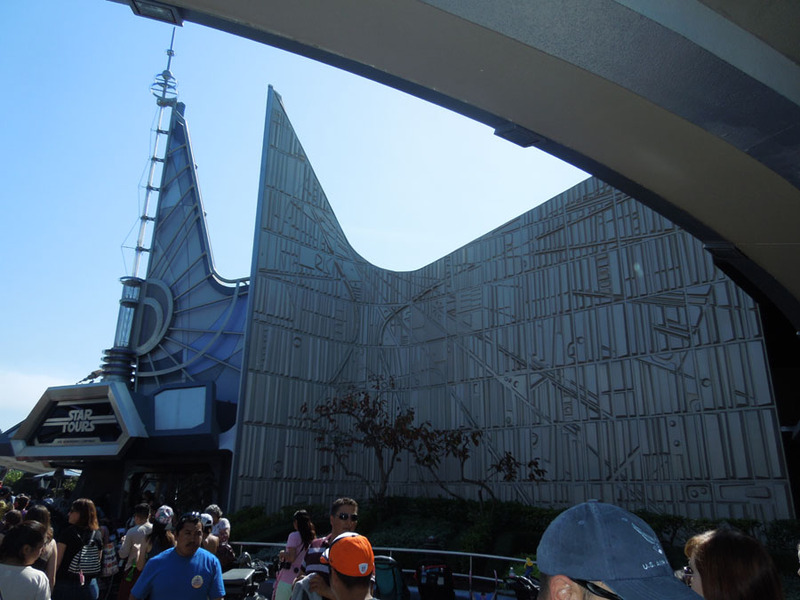 For more pictures, visit the Star Trader photos.